I’m grateful for the Evangelical Lutheran Church in America’s publication “Stewards of God’s Love.” It is an important resource in this sermon and worship series. Click here to view a copy of the entire document. In case you haven’t figured it out yet, today is Ash Wednesday. On this day, you and I join millions of Christians throughout the world as the holy season of Lent begins. Ash Wednesday is a day when brothers and sisters in Christ gather in worship and receive a mark on their foreheads with ashes as these words are spoken, “Remember that you are dust, and to dust you will return.” These words and a tiny amount of black ash placed on our foreheads remind us of our mortality, but that’s not all. In this sacred moment on Ash Wednesday, we are reminded of whose we are. And whose we are is something that we are invited to remember every day in our life in Christ. I’m excited about our journey through lent this year as a community of faith at Good Shepherd. You and I will have many additional opportunities to worship together, times of conversation and community building as we share meal each week, and daily invitations to scripture study, devotion and prayer. Through all of these discipleship practices, I hope and pray that you and I will grow in our life together as stewards of God’s love. Our theme is Stewards of God’s Love: The Down, In, and Out of Being a Disciple of Jesus. 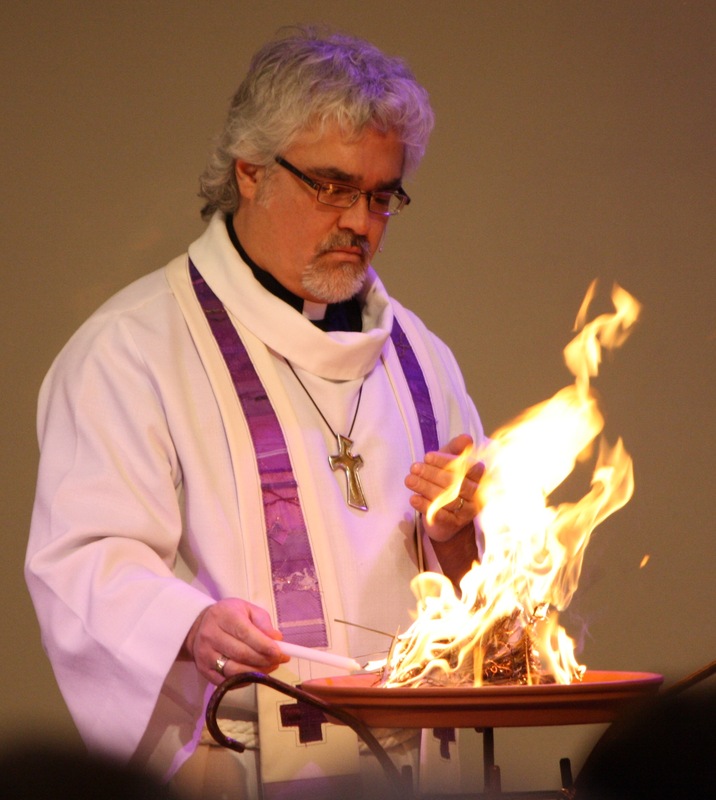 So…over the next 6 weeks, you and I will enter into a time of exploring what it means to be a steward of God, a disciple of Jesus at Good Shepherd Lutheran Church in Bismarck, North Dakota in 2015. And for many of us, this will require a shift in the way we think about stewardship. If you were at any of the Shepherd’s Table events last fall, you might remember this video clip. In the past, the Christian church often thought of stewardship as only about paying the bills. The shift that is taking place today and connects us to the ancient beauty of God’s work through the church is that stewardship is about loving God and my love neighbor. Many believe that stewardship is about money, whereas the story of stewardship that we receive in scripture and the ancient practices of the God’s people since the beginning of creation [click] is that stewardship is about my whole self. [click] The question “how much of what is mine should I give away?” is really not relevant to a disciple of Jesus. Instead, the question is “how much of what is God’s should I keep for myself?” And, the escalator stopping statement “we don’t have enough” becomes a new reality that a stuck escalator is just a metal staircase. This frees us to celebrate the fact that “God has provided for us in abundance” as individuals and as a community of faith. Throughout our Lenten worship series, we will look at three actions that take place in our life together as stewards of God, disciples of Jesus. The first movement is Down. God first comes down to us in the beginning of creation. From the very beginning of creation, we are not the owner – God is. And as stewards, we are called to care for what has always been and will always be – God’s. God has skillfully created us and blessed us with more than we could ever imagine. In second Corinthians, the Apostle Paul writes, “And God is able to provide you with every blessing in abundance, so that by always having enough of everything, you may share abundantly in every good work.” When we realize that all we have belongs to God and not to us, we can’t help but give it away in thanksgiving for God’s generosity. We give joyfully, graciously and sacrificially because we know that our resources are not ours to keep but are God’s to share. And finally, we look out to see how God is calling us to love our neighbor with all that God has entrusted to our care. Stewardship transforms God’s commandment to “love our neighbors as ourselves” from a religious expression into a way of life. Brothers and sisters in Christ, when we practice stewardship in this way we are making the sign of the cross. God makes the first vertical line DOWN; we follow by moving IN to the center and then OUT to our neighbors on either side both near and far. I hope and pray that the next six weeks of our life together will help you and I grow deeper in our understanding of the ways that stewardship is directly tied to discipleship. One simply cannot exist without the other in our life of faith. You and I form a cross with our lives and through our faith, we are marked with the cross of Christ and sealed with the Holy Spirit forever…called to be stewards of God’s love, disciples of Jesus the Christ, claimed unconditionally as God’s children. This will be our journey over the next six weeks together. I look forward walking with you along the way. On this Ash Wednesday, as you feel the grit of the ash rub across the smooth skin of your forehead, may remember that you are God’s. That you have been chosen by God and marked with the cross of Christ forever. This entry was posted on Thursday, February 19th, 2015 at 1:19 pm	and posted in Recent Sermons. You can follow any responses to this entry through the RSS 2.0 feed.